We don’t live in a fancy house; we aren’t situated in a particularly sought after area. 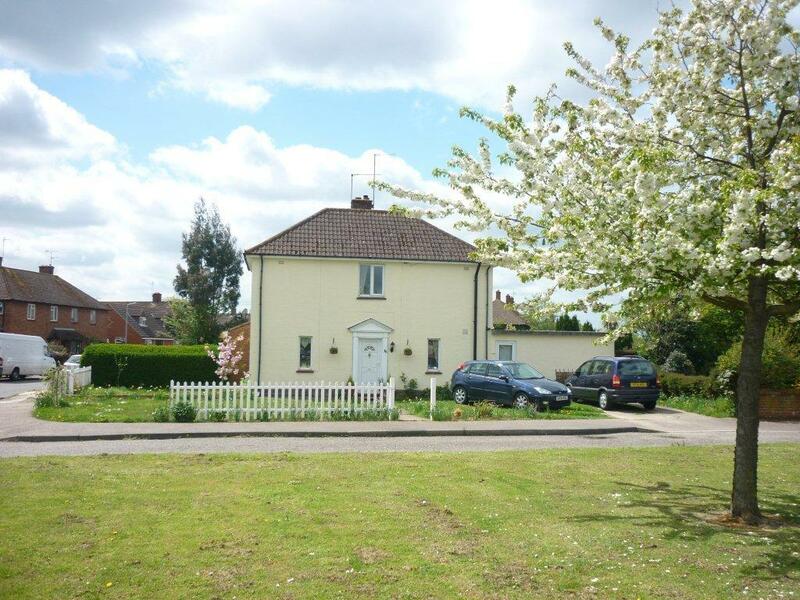 Shoestring Cottage is actually a 1940’s ex local authority semi in Essex. However, as was often the case at the time, the houses were built solidly on lovely big plots. Ours is the corner plot and looks out over a green. We have the scout hut behind us and a row of pensioners’ bungalows to one side, so it is quiet and almost all of the neighbours are polite and friendly. I love our house, but even more I love our garden. In the summer it is so much work and, after three years, we are only just getting it as we want it. We don’t have a lot of money to spend, but we do have lots of enthusiasm! We often don’t know the best thing to do, but take advice from family and friends and we are learning as we go along. As we have an extra long weekend for the May bank holiday, this gave us a chance to catch up on the gardening yesterday, and also meant we didn’t go out anywhere and spend any money. It was a gloriously dry and sunny day, absolutely perfect for being outdoors. 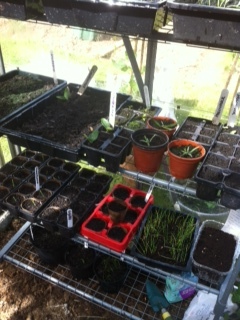 Mr S cut all the lawns and put the new greenhouse staging together that I bought on Saturday from Wilkinson’s. It was an absolute bargain at £5. 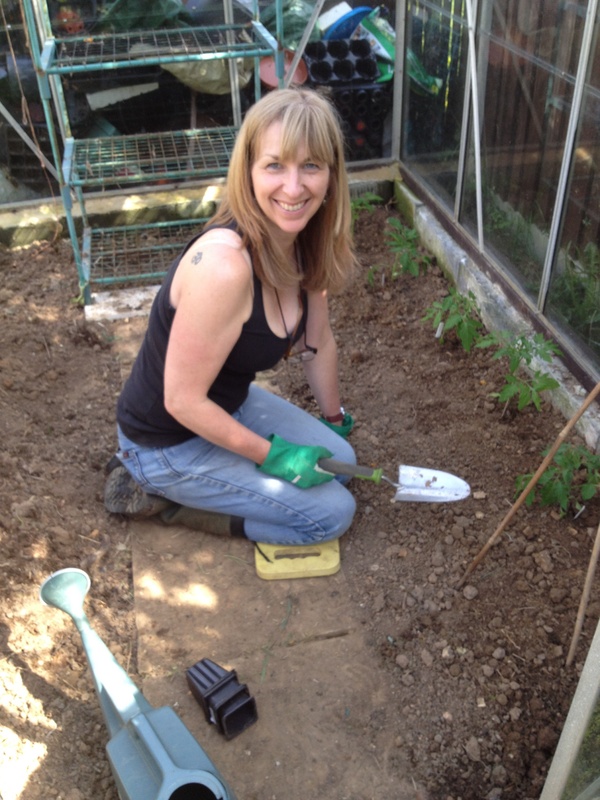 I prepared the greenhouse and did some clearing and weeding of the veg beds, including digging up the last of the leeks. I got a few courgette plants in (mine are only just germinating but these were from a neighbour), some mint, celeriac and some everlasting spinach. 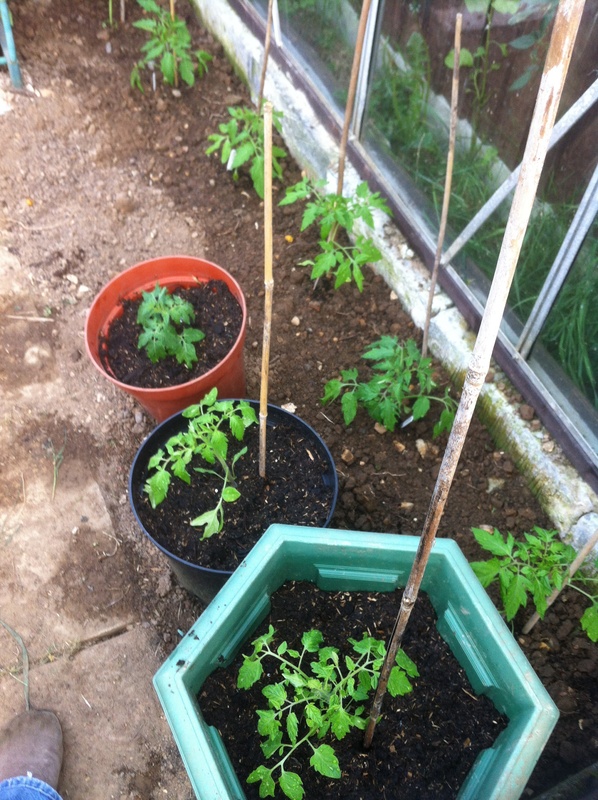 I also sowed broccoli, carrots, various flowers and planted the tomato plants – again from Mr Shoestring’s lovely neighbour – into the greenhouse. I could list everything in the garden as individual projects for the sake of the 52 projects challenge, then I would have achieved all 52 by now! The garden is an on-going project! I wanted it done as on Tuesday morning I start decorating the hall. Now that will be a project. What is your piece of paradise? Do you love where you live? For the last three years my piece of paradise has been a 1933 end-of-terrace with hugely extended kitchen and miniscule garden, at the foot of the glorious North Downs, with 3 train stations and a 7 minute footpath walk to the centre of an attractively quirky market town. We live in a small town on California’s Central Coast. The house we’re in was built in the 1930s, and to say it has quirks would be kind. There’s no dishwasher, and our kitchen electrical outlets can’t handle a crock pot, but as I stand at the sink and wash dishes, I can look out at the Pacific. We’re also on a corner lot that’s the size of 3 lots, so 12 years ago I planted a glorious garden; it’s now a bit too much to keep up with. 5 Years ago, we put in a kitchen garden. It’s nice that everyone at the market knows us. It’s nice to run into neighbors and friends in town. The views are spectacular. Living here is expensive, so we have to be frugal. Your home is lovely! We live in a ranch house in the suburbs in southwestern Virginia. But we are almost in the country – we are at the very end of the street and have 2 fields beside us, so we get lots of wildlife. I am trying to garden a small patch, but health problems keep cropping up for me. I remain determined! Mine is a 1930s detached surrounded on 3 sides by 1970s terraces built on what used to be other long demolished houses and their gardens, on a busy road in suburban London. The garden is about a third of it’s original size now, only 25 feet long (thanks to a previous owner selling off land for the terraces) by about 30 feet wide, but it’s a little haven nonetheless, with plenty of birdsong to drown out the traffic and the on-top-of-us neighbours. My house is not fancy at all either, but it has lots of space for gardening and that’s what is important to me, too. I like your house and having good neighbors is such a blessing. It looks like your garden is doing great. found your blog through ali’s frugal blog ( 40K) like you I am a single incomer trying to live carefully. I am not in my dream home,not now, had the dream for a little while, life got in the way! still dreaming though and hope to move again in a year or two… once the frugal redecoration and getting ready to sell of this one is done! Like you, unexpected bills ( like last weeks heartbreaking vets bills, £640 in all ) are a big set back when they occur..
eek eek eek , I got the very same staging at Wilkinsons but it cost me £10. Why does this happen? I needed two sets of staging but could only afford one, if they had been £5 I could have got the two. It is great for my blowaway i.e. my plastic greenhouse, now they are taped together to hold each other down. It was on special I think. I would have got two but they only had one left. How annoying!